Für eine größere Darsellung auf das Bild klicken. 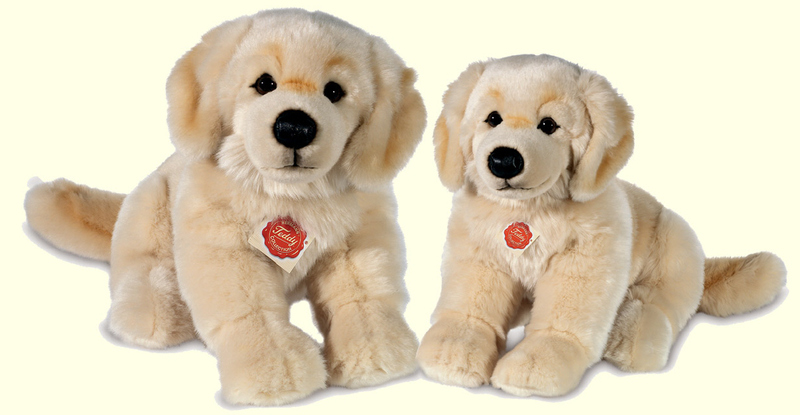 30 cm = 11 4/5 inches tall, is made out of cuddly plush and softly filled with polyester filling. Washable at 30 degree Centigrade (right dog on the picture).